Happy ? day everyone! 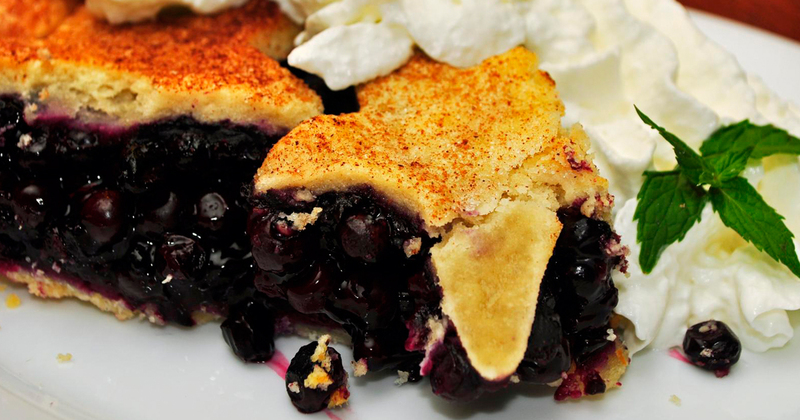 I hope you are celebrating it with some delicious pie like the one above instead of the normal pie chart. 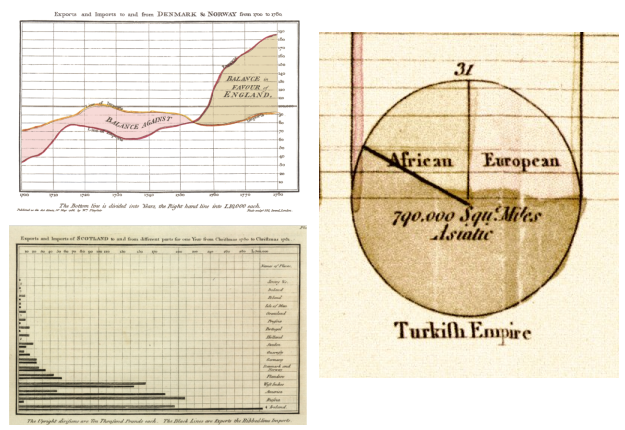 In celebration of this day I’d like to show you some of my favorite people and charts through the early history of visualizations, as a way to honor the early pioneers. Now this list is far from comprehensive and make sure to tweet along with us at #PiDay with your own examples. Minard is one of my favorites and although Carte figurative des pertes successives en hommes de l'Armée Française dans la campagne de Russie 1812-1813 is his most famous piece of art he also created an additional 50 pieces. He really is a pioneer when it comes to creating thematic maps where a particular theme is connected with a specific geographic area. Snow has already been mentioned by my colleague James Richardson in his blog post John Snow, Visualization And The Game of Maps. 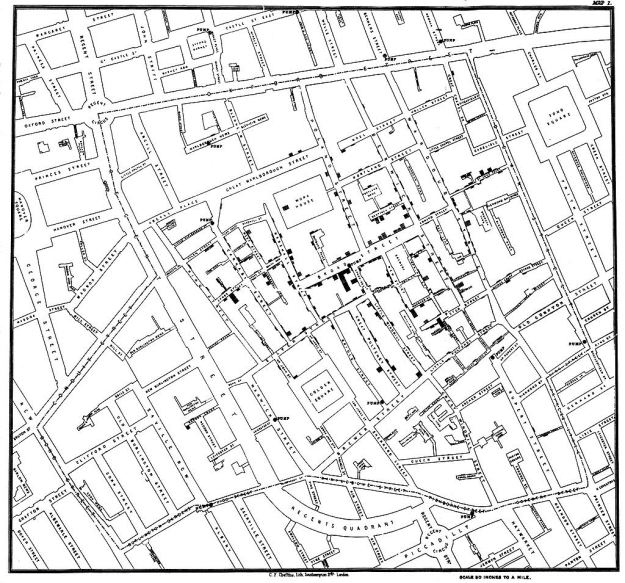 In his post it’s shown that John Snow did not use the map to actually stop the epidemic, but rather as an illustration of how bad the epidemic was. But it still is a great piece of art that Cheffins created with work done by Snow. Together, they created a great dataviz. 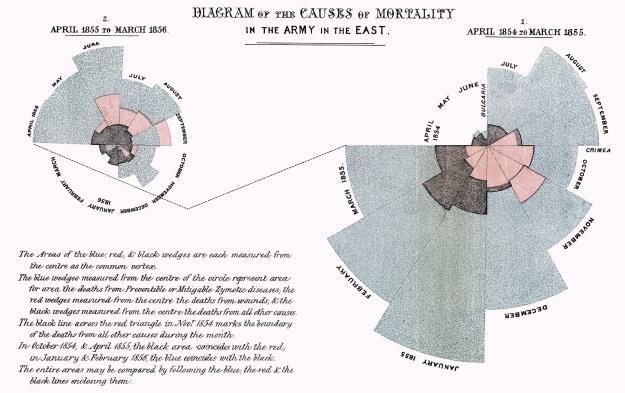 Staying on theme of British people and visualizations showing how lives can be saved I of course have to talk about Nightingale. As a nurse during the Crimean War she showed British Parliament how sanitation was important for the survival rates of soldiers. Her polar area diagram was used to give a clear and concise presentation at that time compared to the more traditional statistics reports. 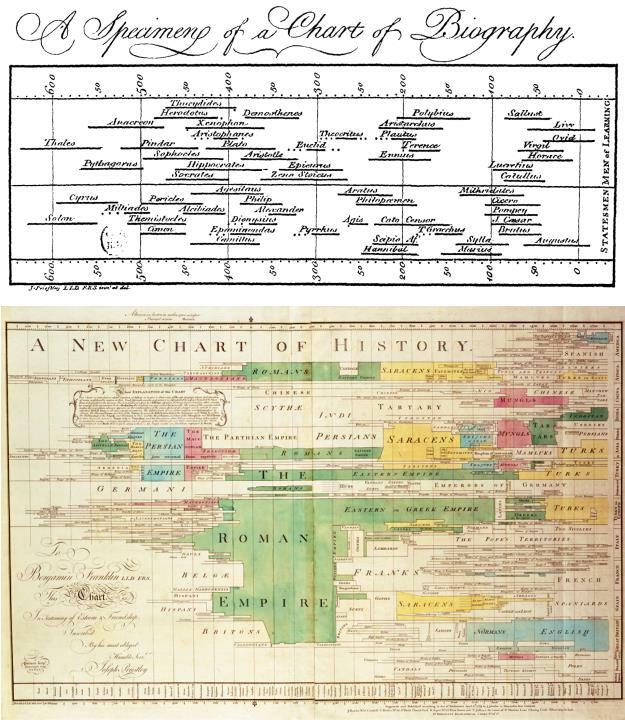 In 1765, Priestley published A Chart of Biography and then later A New Chart of History. He wanted to show his students the dependence of events and the distribution into periods and divisions. Today we recognize his work through different types of charts that use a timeline. However, it’s not his visualizations he is most famous for. Rather, he was an English theologian, natural philosopher, chemist, educator, and political theorist who published more than 150 works. He is usually credited for the discovery of oxygen and then later its use to create soda water. Saving the best for last, we have Playfair who is one of a few who contributed the most to visualization through history. He is credited for inventing the line, area, bar and pie charts. 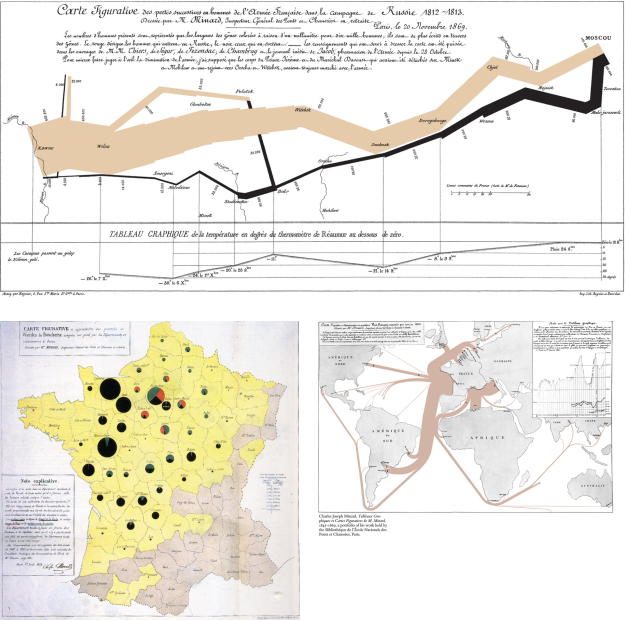 He was inspired by Priestley, and in 1786 he published the Commercial and Political Atlas which contained 43 time series plots and the first bar chart. Then later in 1801, he published the first pie chart. What’s really interesting about Playfair is not only that he is credited for inventing those charts that we use in our daily life, but that he is also rumored to have been a scoundrel, an embezzler, a plagiarist and a blackmailer. People describe him as a jack of all trades who during his life had a multitude of occupations, including being a personal assistant to James Watt. It is also rumored that he took part in the storming and capture of the Bastille in 1789. How much of this is true? I’m not sure, but if it is, then the area of visualization really had an interesting start! Either way, I’m really proud of the work from these pioneers and their peers. It’s them I want to celebrate today while I enjoy my delicious pie!